Traditional Chinese method of pressure-point massage used to stimulate the flow of energy in the body. 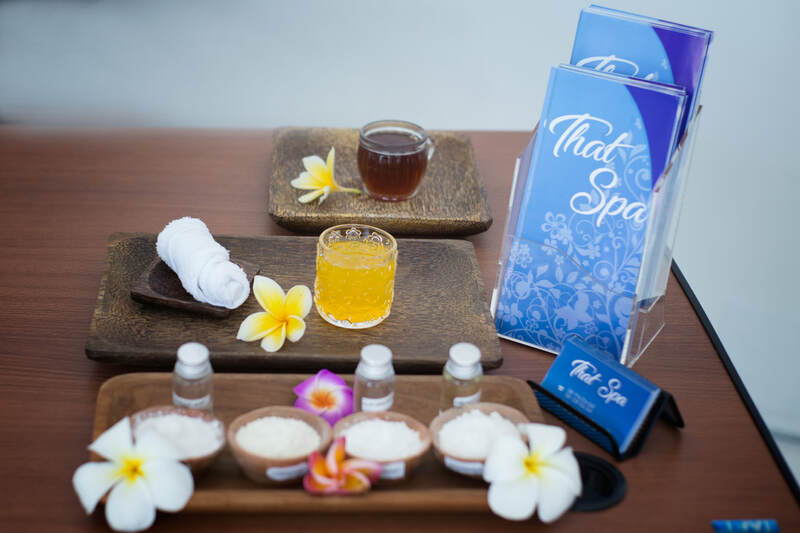 Practised in spa resorts and thalassotherapy centers in relaxation therapies. Traditional Chinese healing technique. 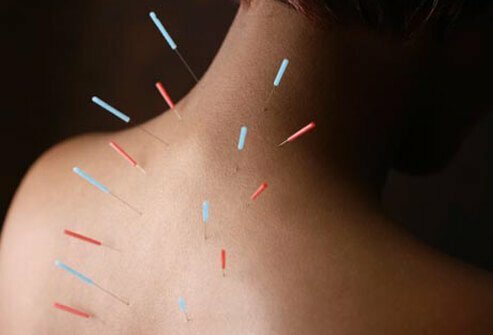 It can be administered by using needles, low-voltage electric current (electro acupuncture), or pinpoint massage (acupressure). 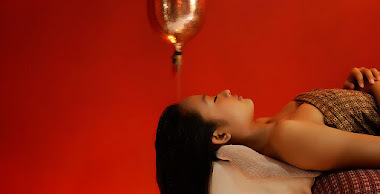 This is also a relaxation technique used in spa treatments. Used to cure diseases of nose and throat such as allergic rhinitis. Comparable effects to those of inhalation. An aerosol is a colloid of fine solid particles or liquiddroplets, in air or another gas. Aerosols can be natural or anthropogenic. Examples of natural aerosols are fog, dust, forest exudates and geyser steam. The patient lies on a table and is massaged by jet sprays spreading water from a ramp situated above them. Seaweed bath that is a form of thalassotherapy. Aerobic exercises performed in a pool using the support and resistance of the water to burn fat, strengthen bones, and increase cardiovascular health and endurance. This is an ideal exercice to help you losing weight if you are on a diet or chose a slimness programme. Therapeutic treatment such as massage, facials, body wraps, or hydrobaths that include the application of fragrant essential oils. 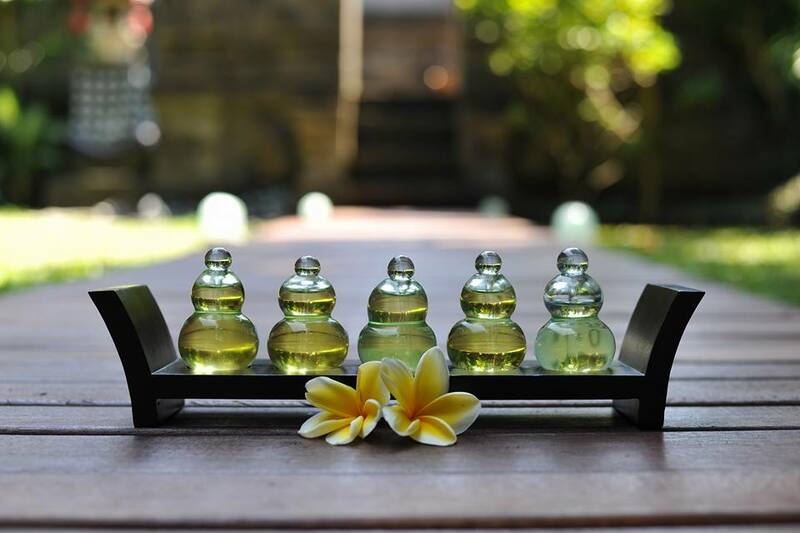 Different oils are used for different therapeutic benefits. Mostly used for relaxation and stress management spa programmes. The asanas means Various yoga postures or poses. The practice of these physical poses is a fundamental stage in many branches of the yoga system. Aerobic Exercise is a sustained rhythmic exercise that uses the large muscle groups of the body and increases the heart rate from 50 to 90 percent of its maximum. Ancient Indian system of traditional folk medicine from India using a variety of techniques, based on three basic principles: Vata which controls the movement, Pita which rules metabolism and Kapha which is linked to tissue and immunity. 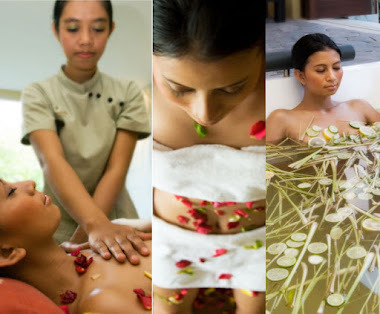 Ayurveda massages are provided in an increasing number of spa resorts and thalassotherapy centers.